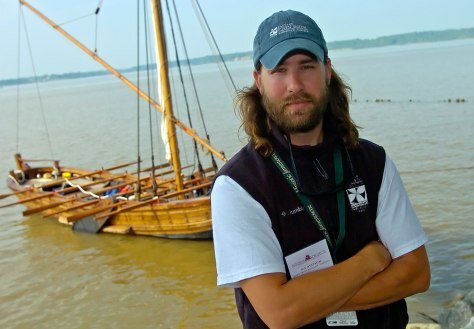 Ian Bystrom and his 11-man crew will spend 121 days aboard a 28-foot replica of the small boat used by Capt. John Smith in 1608 to map the Chesapeake Bay area. The archeological trip coincides with the 400th anniversary of the settling of Jamestown.